This is Part One of a two-part series. Part Two will be published on Friday, January 25, 2018. 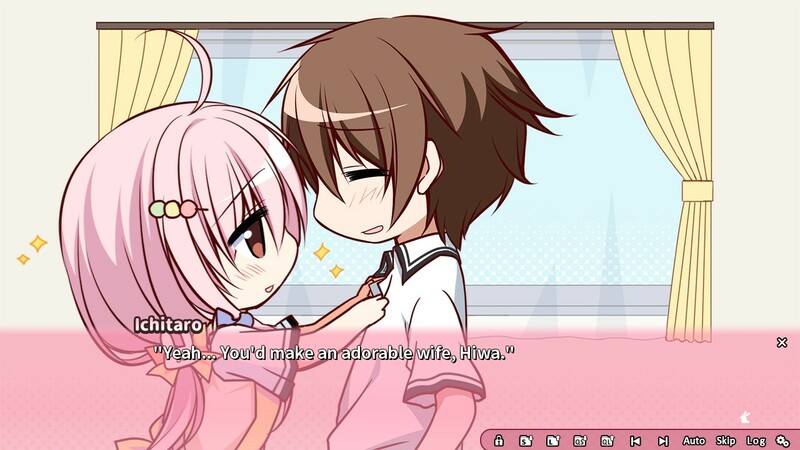 Frontwing, who has previously developed numerous visual novels such as the Grisaia series and ISLAND [OR Note: You can check out our ISLAND review here], has started a new series called Loca-Love. In this first installment, Loca-Love: My Cute Roommate, Frontwing tells the ‘sugary sweet love story’ of Aoi Ichitaro and Kojika Hiwa as fate and misfortune -and a courageous, fateful, invitation by the shy Hiwa- causes them to become roommates and potentially more. In this two-part interview series, I interviewed both Hotenboshi (Loca-Love: My Cute Roommate‘s director) and Kei Hozumi (the game’s scriptwriter) to discuss Loca-Love, what it was like writing and developing it, how they balance the sexual content with maintaining a plot, and more. And once or twice, Lulu, with Frontwing Public Relations, jumped in as well! You can check out Frontwing at their official websites (Japanese) (English), on Twitter, on YouTube, and on Facebook. You can also check out the (100% funded) Kickstarter campaign here. You can also check out our 18+ review of Loca-Love: My Cute Roommate here. Finally, Loca-Love: My Cute Roommate is available NOW for purchase on Steam. Operation Rainfall: Could you please introduce yourself, tell us what role you played in the development of Loca-Love: My Cute Roommate, and a bit about what games you’ve worked on previously? Hantenboshi: I’m the director. As for what I actually do, I gather production staff, manage the schedule and budget, and am responsible for the quality of the final product. This time I also helped come up with the original concept. I’ve worked on a bunch of different things so far. You might have heard of the Corona Blossom series, currently available on Steam. Also, while these are currently only available in Japanese, I’ve also worked on Pure Girl and Innocent Girl, which have a higher focus on adult themes, as well as Yukikoi Melt, which is a sweet and fluffy romance game somewhat similar to Loca-Love. Before that, I also worked on several Frontwing games as a story writer. OR: What was the development process like for Loca-Love: My Cute Roommate? How long did it take, and what was your personal experience like directing this title? H: The development process went rather smoothly. Though, because I was working on Momoiro Closet (currently available on Steam) at the same time, it took about a year and a half from concept to production. Personally, working on the game allowed me to experience the greatness of Hozumi Kei’s writing all over again. We’ve also worked together on Yukikoi Melt, and I’m incredibly grateful that he provided yet another wonderful story for Loca-Love! When I first received the script, I found myself grinning to myself at the sweetness of Ichitaro and Hiwa’s love story. Fans have even told me that it’s so sweet that it made them puke rainbows. The game really allows you to experience all sorts of feelings from the bottom of your heart, so you might need to take a break once in a while, or else you might get addicted! Loca-Love: My Cute Roommate tells the story of two coworkers, Hiwa and Ichitaro, who wind up moving in together and start to fall in love. (Images taken by Steve Baltimore). OR: This game was funded through Kickstarter. Was this your first Kickstarter project? What was it like developing a game that was funded by fans? Lulu: Actually, the game was not funded by Kickstarter, only the production of physical goods! Release of the game outside Japan was already decided since the beginning. OR: What difficulties or challenges did you experience developing Loca-Love: My Cute Roommate that you didn’t expect to encounter? 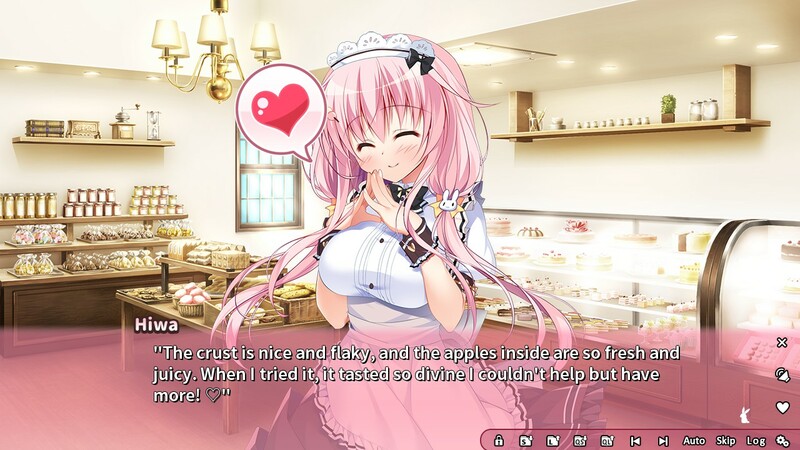 OR: Loca-Love: My Cute Roommate is billed as the first game in a new series. What elements of this game could we expect to be carried into future installments? H: The basic concept, “A sweet love story between a boy and a girl”, will be the same throughout all games. While each volume features a different heroine, they all fall under the same “sweet romance” genre. OR: Are you planning on directing any of the future games in the series?